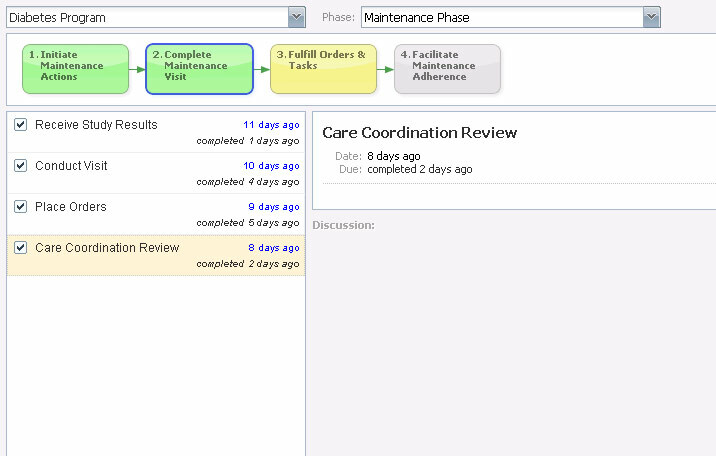 Introducing the first care coordination workflow software built specifically to achieve ACO goals across the entire continuum of care. Have confidence that everyone knows their role - and that they’re doing it. Systematic care coordination management that actively manages plans and actions for great teamwork across sites and settings. Trigger specific, automatic interventions and tasks using real-time clinical data at the point of care – and even before – across all care settings. 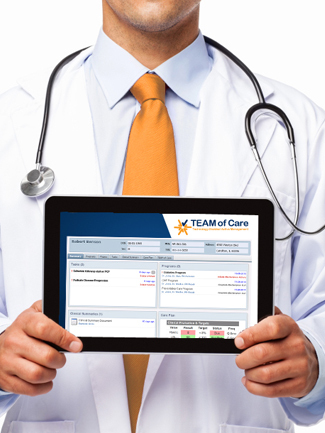 TEAM of Care is an evidence-based care coordination workflow built on specific tactics proven to improve outcomes and reduce costs. 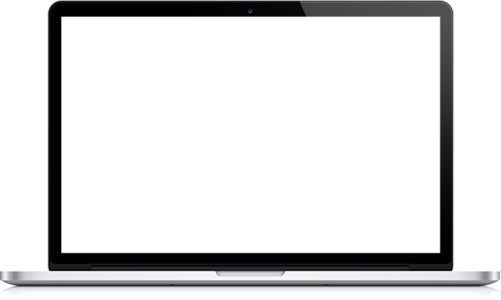 The result: Systematic Value. Every member of the care team, regardless of location or role, gets clear visibility to a unified plan of action, and their specific responsibilities. 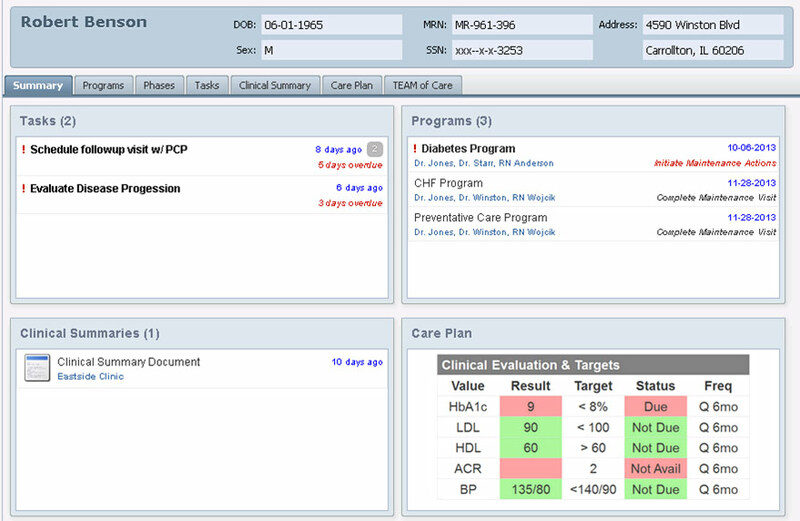 Real-time clinical data triggers actions in TEAM of Care’s rules engine, all tailored for each team member and organization. Best-practice care coordination requires real-time clinical data that triggers actions to improve care. The TEAM of Care software offers a work tool to organize and prioritize daily care coordination activities within existing workflows. Effectiveness and efficiency starts with information. 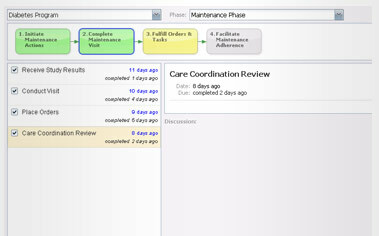 TEAM of Care gives providers an immediate, holistic view of the patient’s care continuum and real-time status. Achieving ACO goals requires systematic management of the care coordination lifecycle. Get a comprehensive view of patients, synchronize orders and actions between multiple providers and settings, close gaps before they occur and create and manage infrastructure across the entire continuum of care. 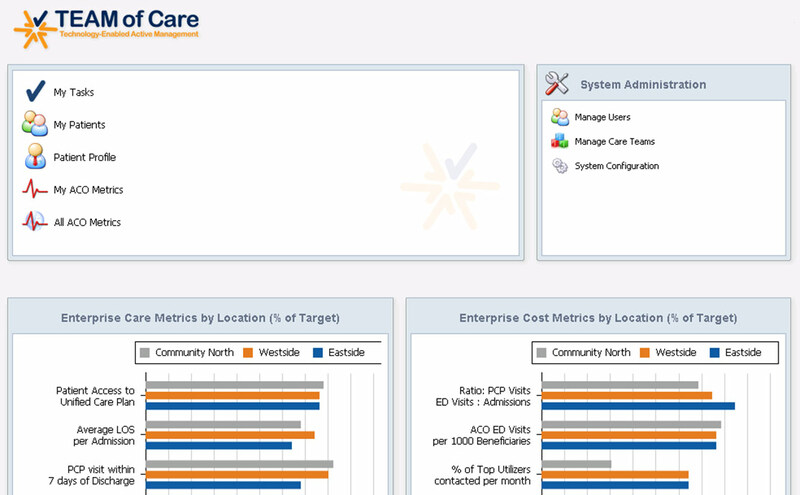 Because the TEAM of Care model automates our visibility into care coordination activities, our physicians, nurses, care coordinators and patients can take immediate actions that will improve outcomes. 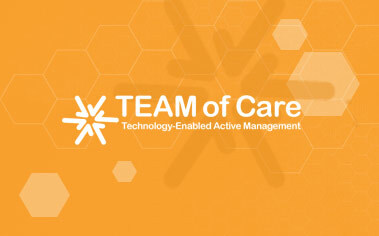 TEAM of Care provides us with one platform to manage and coordinate the care activities inside and outside our organization, across the entire continuum of care. This Active Management of Care model is critical to how the ACO will achieve our goals for improved patient care and reduced costs of care. 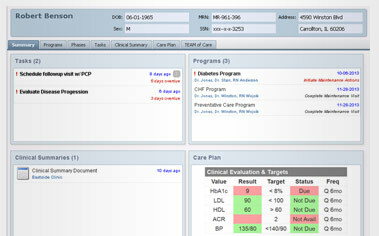 After an exhaustive search of technology and consulting ACO vendors, TEAM of Care and its Technology Enabled Active Management of Care allows us to leverage the existing hospital and ambulatory technology Electronic Health Record platforms we already have invested in to be able to share community wide agreed up care plans across multiple technology platforms. 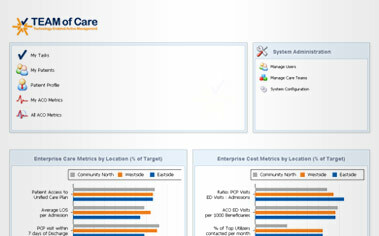 Looking to Optimize Your TEAM of Care?